A moderate walk of about 2.5 miles (4 km), taking one and a half hours. If in doubt, follow the signs. 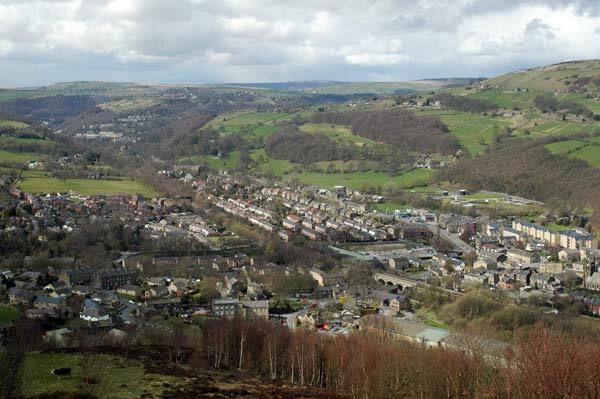 Rising steeply at the start, it soon gives wonderful views across the Calder Valley to Heptonstall and Old Town. 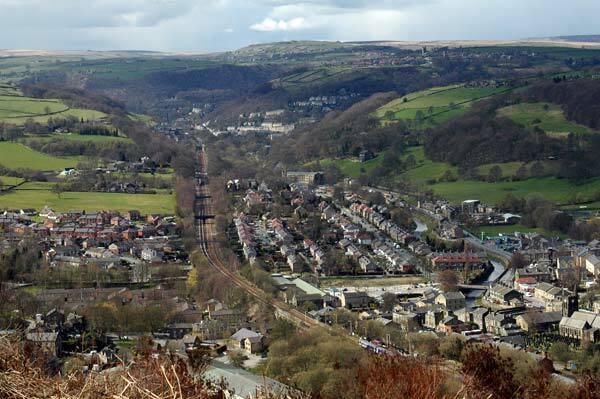 Ted Hughes, from his childhood home in Aspinall Street in Mytholmroyd, looked straight across to the grim cliff-face of Scout Rock: it provided 'both the curtain and back-drop to existence'. 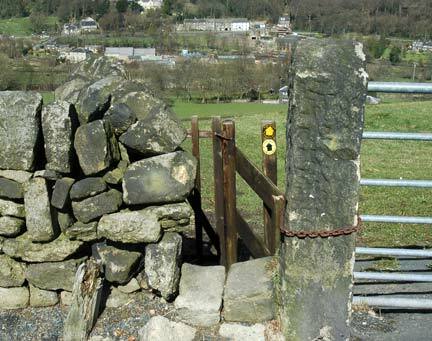 The return route drops back through Brearley, the remains of whose rural industrial past are still clearly visible, squashed between railway and canal. Turn left, and after a few yards you come to a forkin the road. 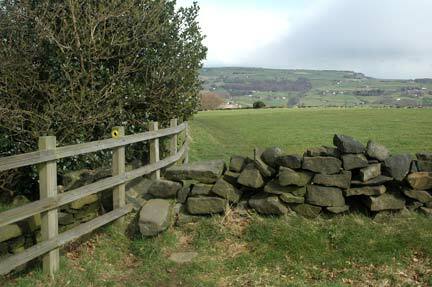 The right hand fork goes on up to Cragg Vale. Take Scout Road, the left hand fork. 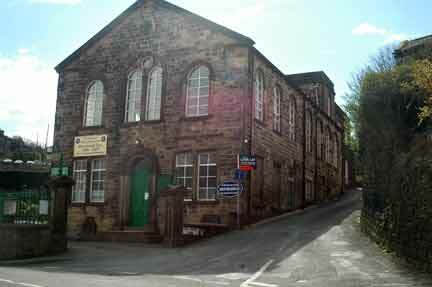 Almost straight away, just before the Methodist Church, turn immediately right, climbing steeply up Hall Bank Lane. Hall Bank Lane winds steeply upwards, past the law firm Sweet and Maxwell. Initially a very steep haul up, you'll find it's worth it. 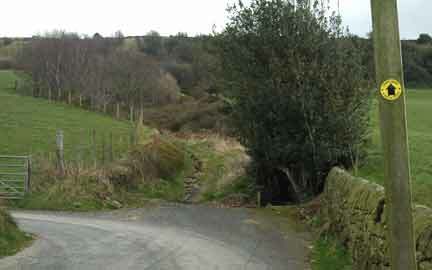 By Low Bank Farm, leave the tarmaced road, and take follow the footpath straight uphill. 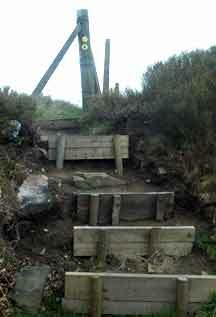 It continues upwards. 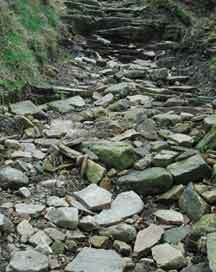 Initially the path has disintegrated and makes for rough walking. When the track bends right, turn left up small steps. 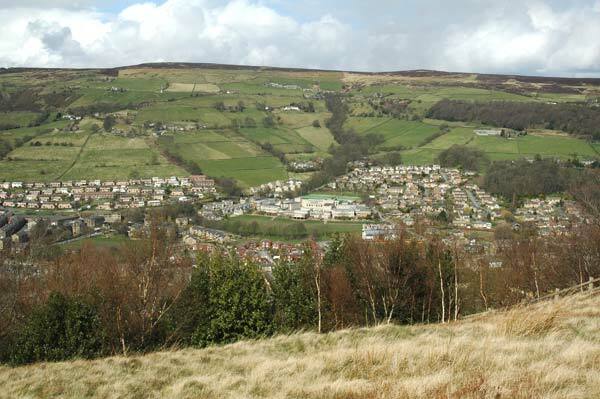 Follow grassy path along lie of hill, glancing left down onto Mytholmroyd, with Aspinall Street, Ted Hughes' birthplace, just visible. 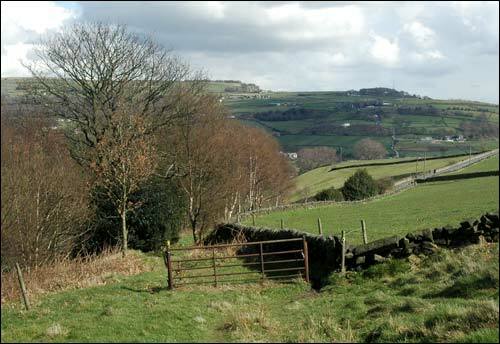 Skirt along the hillside: to your right across the broad field is an old house and barn, Stake, and beyond it Hathershelf. The steep cliff face of Scout Rock a massive presence during his boyhood, continued to fascinate Ted Hughes. 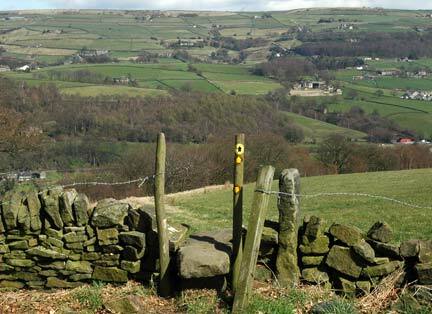 Look across for views over Calder Valley towards Foster Clough and Churn Milk Joan, to your left, Heptonstall Church and Old Town mill standing on the horizon. 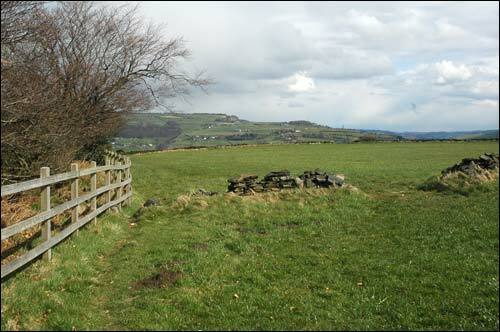 This part of the walk is extremely pleasant, almost flat, soft grass underfoot and great views in all directions. Straight ahead in the distance is Halifax's Wainhouse Tower. The route is very well marked with waymarked signs. At times to the left, is a sheer cliff drop down the rock. 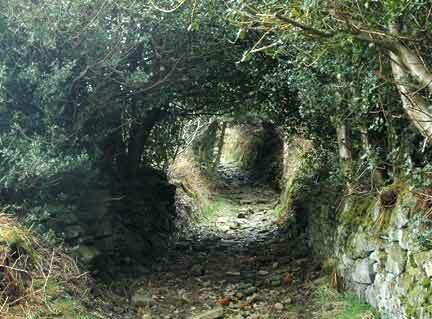 Down to Scout Road, following the path as it slopes gently downwards, with a small wood on your left. Turn right into Scout Road which is not the direction you might have expected, and after 30 metres, turn left through a narrow snicket, which could be easily missed. Continue down the grassy path, descending the stone steps, and past Little Scout Farm. Join the track taking you straight downhill to Brearley. Into Brearley Lane by crossing railway bridge, and continuing down track. Cross over River Calder at Brearley Bridge, noticing remains of weir below. 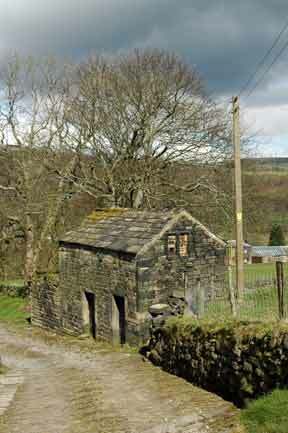 Brearley, a small rural industrial hamlet, had at least three woollen mills, and is still used for business premises. Just before the second bridge, turn left along the canal; the old wall on the opposite canal bank are the remains of an old toffee factory, still working within living memory. 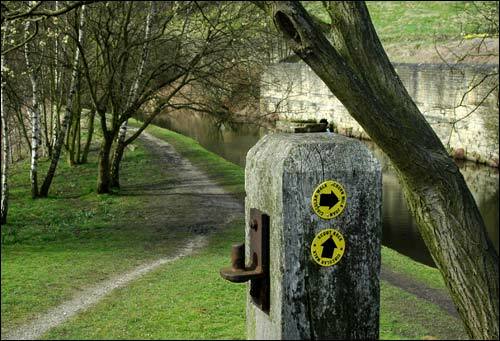 The Canal path returns you to Mytholmroyd. As you are now back-tracking, look up left to your original hilltop route and the view of Scout Rocks that so darkly mesmerized Ted Hughes, providing a powerful backdrop to his childhood. 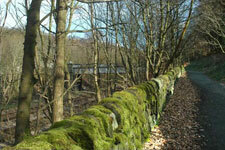 Follow the canal path, leaving it at White Lee Bridge to join the bottom of Midgley Road. 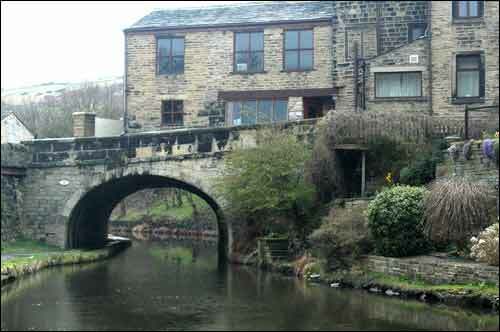 For a detour to 1 Aspinall Street, turn uphill over the canal, then left into Zion Street and immediately right; Hughes' birthplace is on the left. 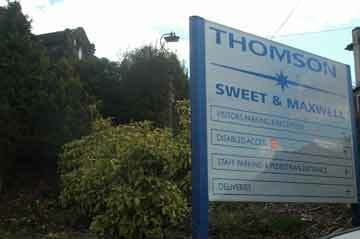 To return to the station, turn right at main road, then first left. 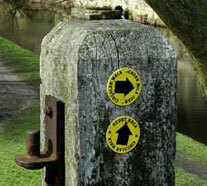 Copyright © 2009-2013 Mytholmroyd Walkers' Action. All Rights Reserved.